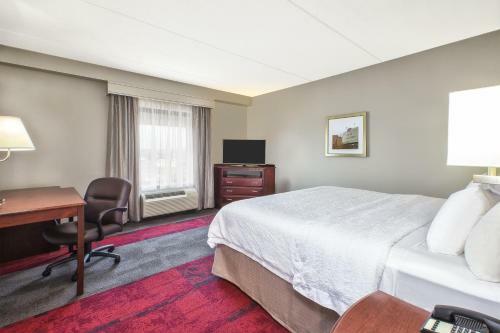 Thanks to its great location comfortable rooms and oversize free breakfast buffet the non-smoking Hampton Inn & Suites Madison West earns high ratings from our guests. 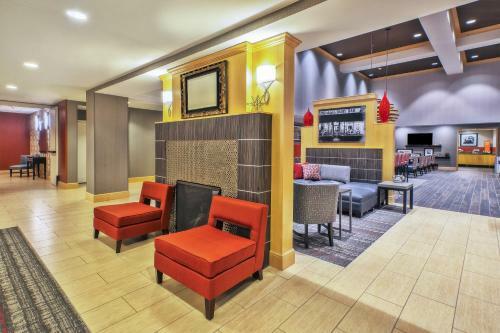 Whether your visit is for business or pleasure the four-story hotel has you covered. 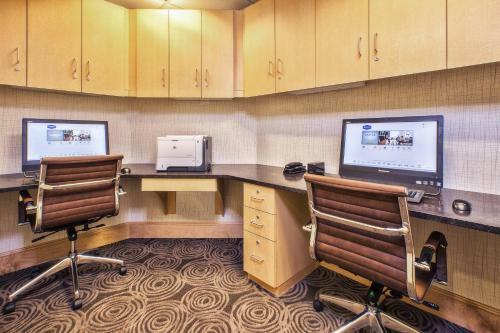 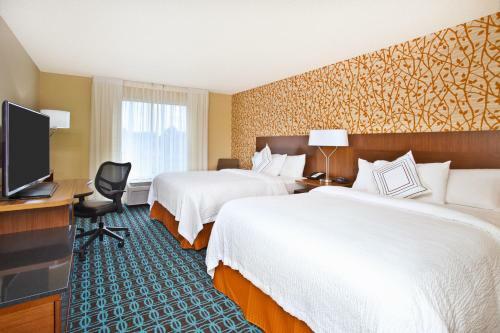 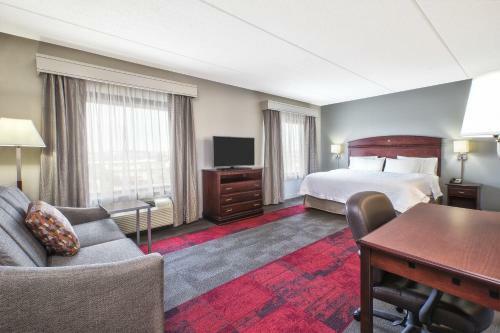 Each of the Hampton Inn's 132 rooms is equipped with free Wi-Fi handy laptop desks upgraded mattresses and flat-panel TVs. 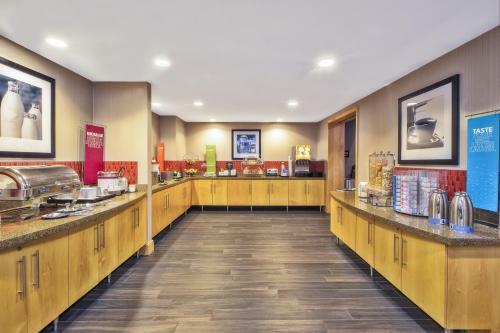 A 24-hour snack shop satisfies late-night munchies or the need for a toothbrush. 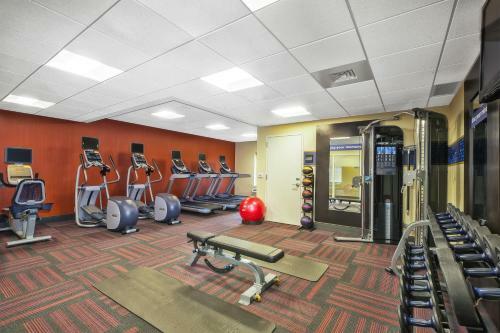 There's also free parking an indoor pool fitness room coin laundry and business center. 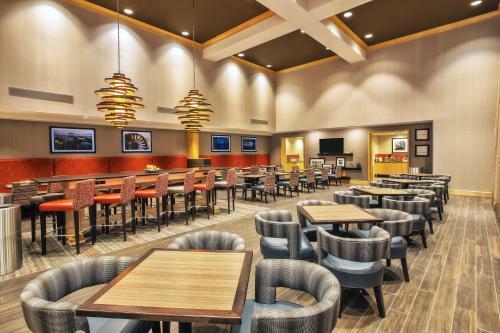 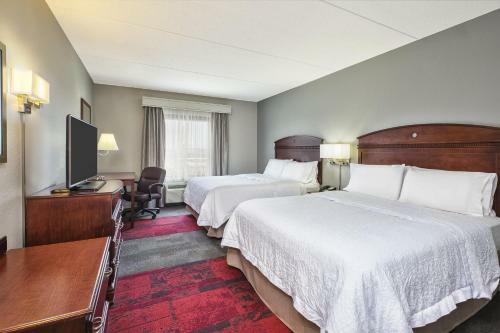 The Hampton Inn & Suites Madison West is located next to the Princeton Club on Madison's west side and is a short distance from popular attractions including Camp Randall Stadium the Monona Terrace Community and Convention Center and the State Capitol Building. 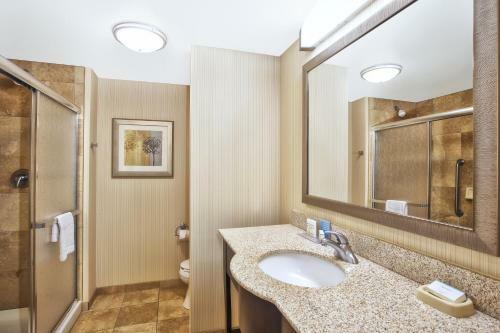 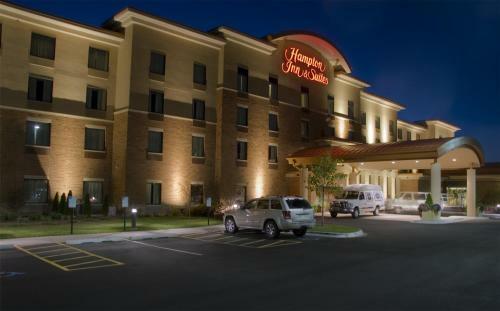 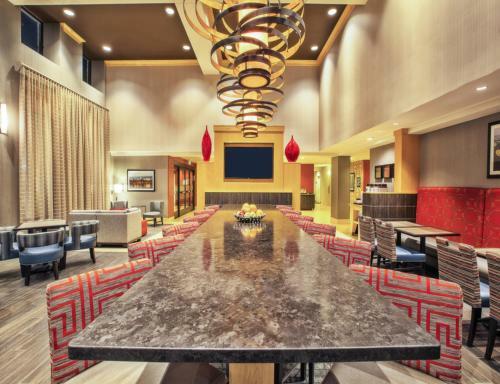 The Hampton Inn & Suites Madison West is a 30-minute drive from Dane County Regional Airport.